The Thomas Midnight Pewitt Memorial Ranch Rodeo Charity (TMP Charity) continues to grow and prosper as we celebrate 5 years of serving children. 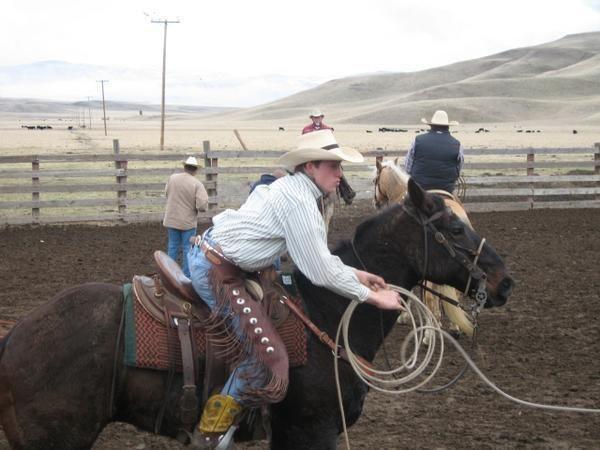 Our family created this non-profit organization to honor Midnight by helping hard working students of Agriculture and Athletics pursuing higher education, while showcasing various ranching skills of the American Cowboy. Thomas Midnight Pewitt graduated from Linns Valley-Poso Flat School where he developed a love for poetry. 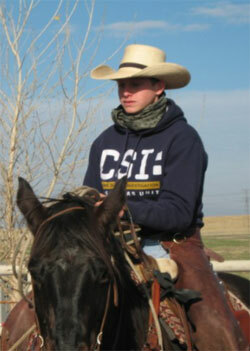 He loved performing at Cowboy Poetry Night and all sports. In High School Midnight was active in the Future Farmers of America (FFA) and played on the North High Junior Varsity Football team. Midnight’s favorite subject was making new friends and always said “everybody is my friend.” Working on the family ranch was part of Midnight’s everyday life. He did it all: working with the livestock, operating the backhoe, bulldozer, trucks, quads; building corrals, fence or an engine. On the ranch, at school or in the show ring Midnight was branded, “Cowboy,” “Cowboy Tough.” Alongside the TMP Memorial Ranch Rodeo comes the birth of “Cowboy Heritage Festival,” featuring children’s “Buckaroo Camp,” where families can learn about California’s ranching history and participate in ranching activities that was the foundation of Midnight’s life. “Buckaroo Camp” has allocated a specific period devoted to children battling life threatening conditions, as an escape from the reality of a child’s illness into a world where dreams can come true. The Cattle Drive Era was one of the most romantic periods in American History. When the world needed to be fed, American family farmers and ranchers found way to answer the call with great values, ethics, and respect for others and Mother Nature. The influence of this Era will last forever creating the world’s greatest hero, the American Cowboy. Partner with us as we reawaken and honor the Cattle Drive Era with an action packed weekend of history, heritage and rodeo excitement at the Greenhorn Mountain Veterans Grounds in Glennville, California.